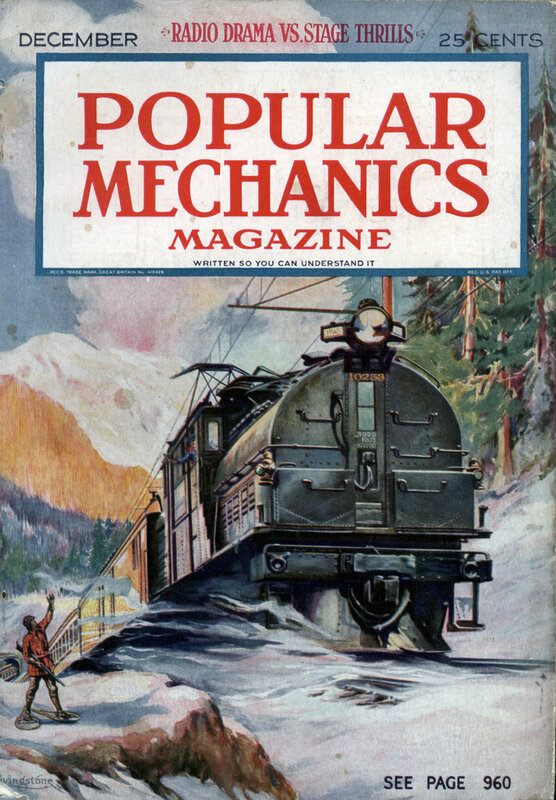 I love the fact that Popular Mechanics thought this was newsworthy. 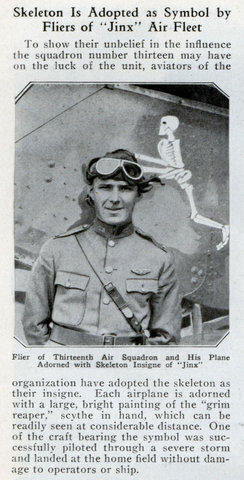 To show their unbelief in the influence the squadron number thirteen may have on the luck of the unit, aviators of the organization have adopted the skeleton as their insigne. 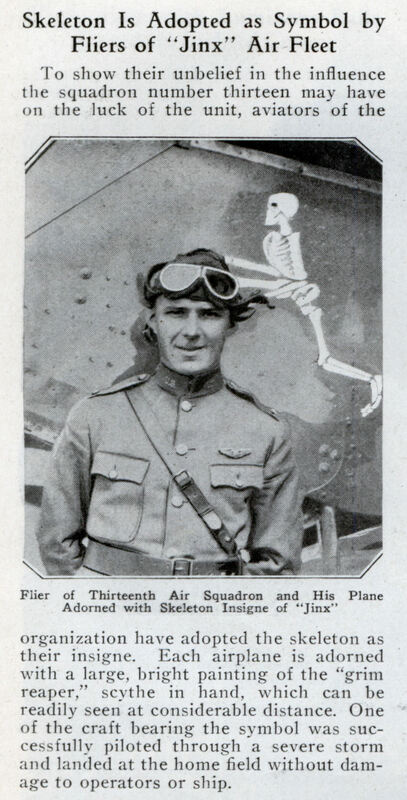 Each airplane is adorned with a large, bright painting of the “grim reaper,” scythe in hand, which can be readily seen at considerable distance. One of the craft bearing the symbol was successfully piloted through a severe storm and landed at the home field without damage to operators or ship.